provide a personalized service for all your multimedia needs! if you choose, we can provide you with a .jpg of EVERY frame! Available on Hard Drive, DVDs, Blu-Rays, MP4s, ThumbDrives, Cloud upload, ProRes, .avi, .mov, and more!! Video Tape Transferred to Hard Drive, DVDs, Blu-Rays, MP4s, ThumbDrives, Cloud upload, ProRes, .avi, .mov, and more!! TMC Transfer and Duplication Centers, the leaders in technology have the ability to transfer multiple analog and digital tapes to disc saving you physical disc space, and duplicating costs. 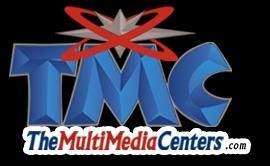 TMC can also transfer video tapes to a data disc or Hard Drive for editing. Film - Video - Photos - Slides, etc. You can count on us to be professional and deliver the best quality with excellent customer service. we'll take care of it for you! We have the reputation to prove it! Be sure to read our testimonials! Now that I have all my memories scanned and transfered to digital media, What do I do now? Now you can share your memories in so many ways!